If there’s a country that absolutely loves playing the lottery – it’s India. They’ve been playing lotteries for hundreds of years, but it has been only recently that major global lotteries such as the EuroMillions, US Powerball, and Mega Millions have made their presence felt in India. There are a number of lotteries that take place in India, all of which are run by State Government organisations. The biggest lotto game in India is the Playwin Lottery, which comprises of a variety of lottery games, three of which are the Thunder Ball, Thursday Super Lotto and Saturday Super Lotto. But, it’s the massive record-breaking global lotto games that receive the most attention, like the US Powerball jackpot that soared to $1.6 billion in January, giving Indian lotto players the chance to win a life-changing amount of money. US Powerball – The U.S. Powerball is the most popular lotto game no matter where in the world you are. The US Powerball jackpots always been extremely big but lottery players all over the globe certainly got the shock of their lives when they witnessed this usa lotto game rollover to a record-breaking jackpot of $1.6 billion, which was shared by three ticket holders. Mega Millions – The second most popular lottery in the USA is the Mega Millions lotto game. Until recently, it boasted the biggest lottery jackpot of $656 million, until of course the Powerball smashed through the lotto record books and left all other lotto jackpots in the dust. Mega Millions is hugely popular and you can play it right here, right now online at PlayHugeLottos.com. EuroMillions – People have won as much as €190 million on Europe’s most popular lotto game, Euromillions. With the exciting EuroMillions Superdraws only a few days away (September 30) and with a new and improved guaranteed jackpot of €130 million, we know that online lotto players from India will be flocking to play the EuroMillions Superdraw. Even if you don’t match all the winning lottery numbers on the EuroMillions, you can still win a huge amount on the lower tiered prizes. Just think of all the things you’d be able to do even if you only win one of the larger consolation prizes, or this Friday’s jackpot that standing a hefty €23 million. SuperEnalotto: Italy’s biggest lotto game is also a firm favourite amounst Indian lotto players and has been around since the 1950s making scores of men and women multimillionaires. Online lotteries are very quickly capturing the imagination of the Indian public and the world as a whole. Not only is it a safe and legal source of gaming where everyone has an equal chance of winning, you can have an enormous amount of fun at the same time, like taking part in our news article comments competitions that you can find at the bottom of the this article right now, or standing a chance to win free lotto vouchers on our Facebook page. If you think it’s your lucky day and the stars are aligned in your favour, play the lottery at PlayHugeLottos.com. If you are still not sure, then take a look at the following amazing lottery stories from India - people who won unimaginable wealth as well as of those who came so close, but not close enough. Some lottery players love their working, like Harikumar, a humble, non-assuming man who runs a tea shop in Bangalore. A few years ago, he won Rs. 6 Crore (almost $1 million) in the Thiruvonam Bumper lottery. Now some people might have stopped working at the point, but not Harikumar. You can still find this family man at his tea shop today. The lotto win did however buy a better home for him and his family, and his children now also attend a better school. The best part however is the fact that this clever lotto winner is investing his lotto win wisely. Well done! There’s no better lotto story than someone who had a tough time making a living, and then winning the lottery! Meet Jaiprakash Jaiswal. Before he won the lottery he was a poor scrap dealer based in Kolkata. But that was before he won the Super Lotto, winning a total of Rs. 17 crore! That’s $1.8 million! This is exactly what playing the lottery is about. Catapulting your life into riches! K. Sudhakaran runs a small shop in the state of Kerala where he sells sweets and soft drinks. He also sells lotteries. He was once asked by one of his regular customers to purchase 10 lottery tickets for him. Sudhakaran did as asked, and even before the customer had collected the lottery tickets, he found out that one of them had won the Rs. 1 Crore jackpot. Now, Sudhakaran is a poor man, who barely manages to earn a living for his family. He could have so easily kept the winning lottery ticket for himself and sold another one to his customer – and nobody would have been wiser for it. But here’s what he does – he faithfully hands over the winning lottery ticket to his customer and congratulates him on winning Rs. 1 crore! What a noble gesture! Such honesty is something unheard of, especially in a country like India. Sharda Rani Sinha loves playing the lottery and regularly played in the Playwin online lottery. Luck finally found the 61-year old housewife and she won Rs. 2 crore! Sharda however had completely forgotten about the lotto ticket and it was only a month later when she read an article in the local newspaper that she realised she had won. 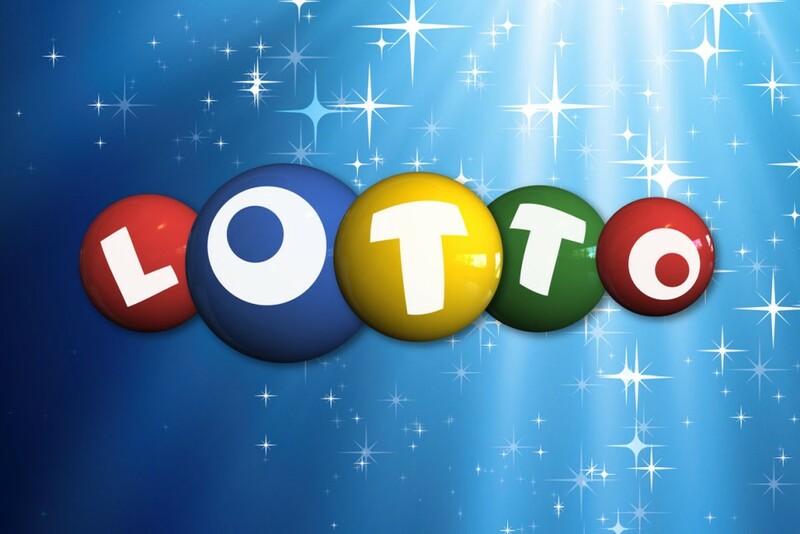 Lucky for you – you have more than likely already registered right here at PlayHugeLottos.com where not only will you receive an automated results mailer with any matches reflected, but you will also receive a telephone call in the event of a substantial lottery win. Making sure you always know about your win! Remember, time waits for no one and speeds by so fast. Be courageous and dare to hope for a bit of adventure to brighten up your life. Play the lotto online today and you may just find yourself with enough money to fund any adventure you can possible think of. The Golden State's Favourite Lottery - SuperLotto Plus! i m buying lottery ticket from INDIA, today's jackpot written by GOD in my name !! in INDIA, don't have big jackpot, which u have. Inspiring stories that remind you the need to join the lottery to win the big jackpot. i m hoping india must start multi crores lottery. Thankyou PHL for your good services !!! thank's to PlayHugeLottos many people from india can change their life. thank's to Playhugelottos more and more people from India can play and change their life. i have lots of passion to buy lottery for speculation winning !! i will not stop buying myself lottery. It is time someone from India hit a jackpot. i will be first INDIAN, who will win huge amount jackpot ! !